Jean-Pierre Bemba enters the court room of the International Criminal Court in The Hague, Netherlands, Monday, March 21, 2016. The International Criminal Court convicted a former Congolese vice president Monday of war crimes and crimes against humanity in a landmark case at the Hague, NBC News reported. 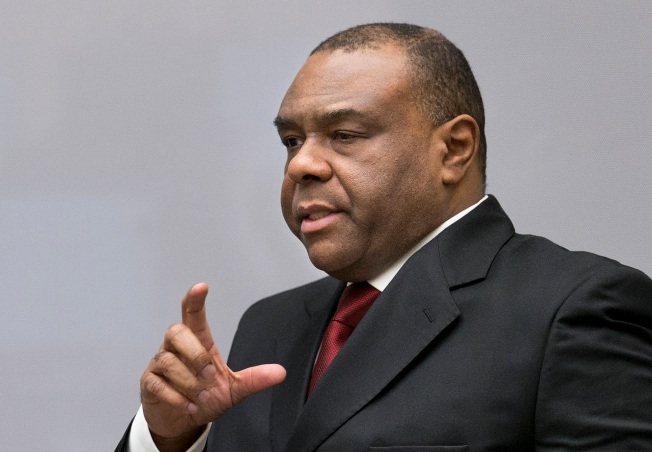 The charges against Jean-Pierre Bemba — a former rebel leader and vice president in the Democratic Republic of Congo — related to rapes, murders and pillaging allegedly carried out by his fighters between 2002 and 2003 in neighboring Central African Republic's Civil War. Bemba, 53, is the highest-ranking person yet convicted by the court. He had pleaded not guilty to all charges; his defense had argued that he didn't have command and control over Movement for the Liberation of Congo (MLC) fighters. He will be sentenced following a separate hearing.